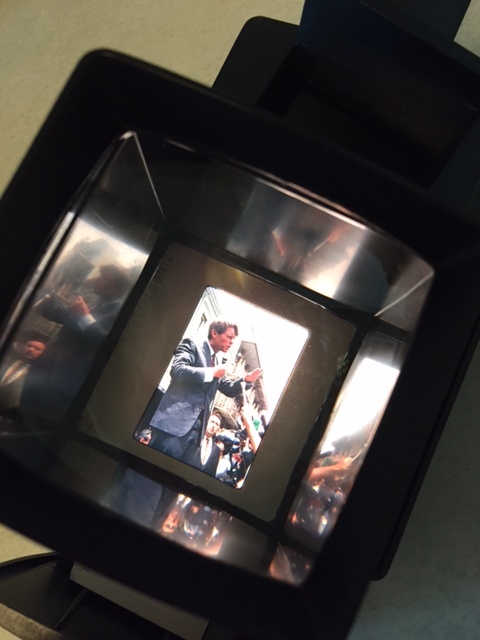 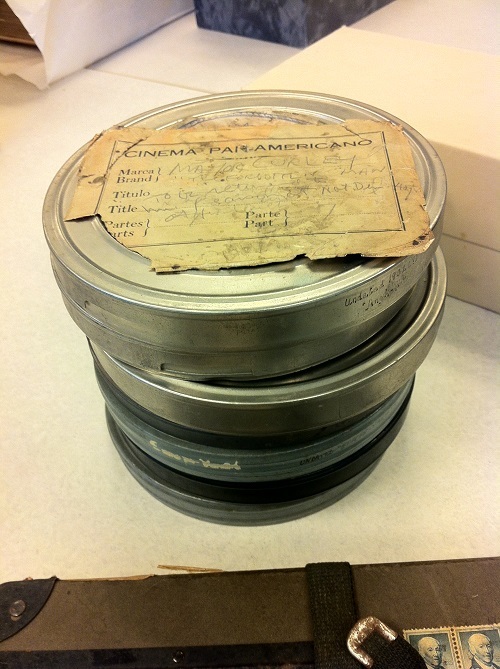 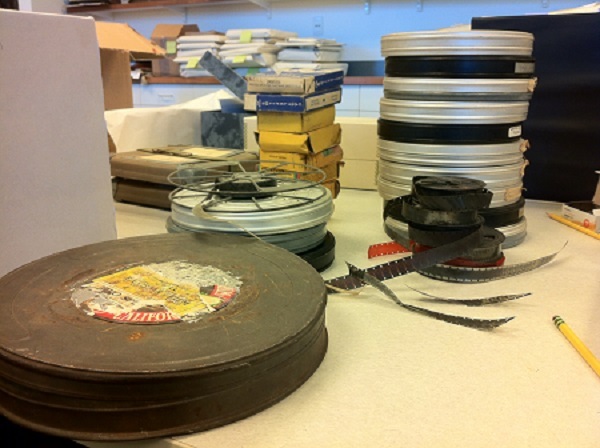 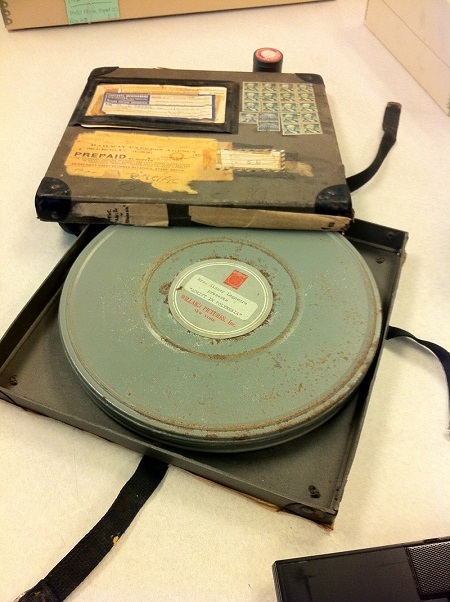 The Gertrude Sanford Legendre collection boasts nearly 13,000 35mm color slides. 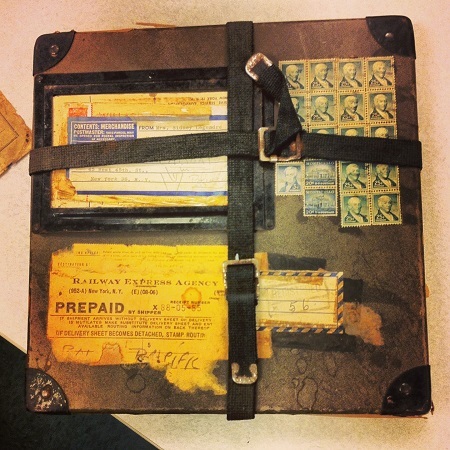 Most of these slides are of Gertrude’s travels in North America, Africa, Europe, Asia, Oceania, and to islands in the Atlantic. 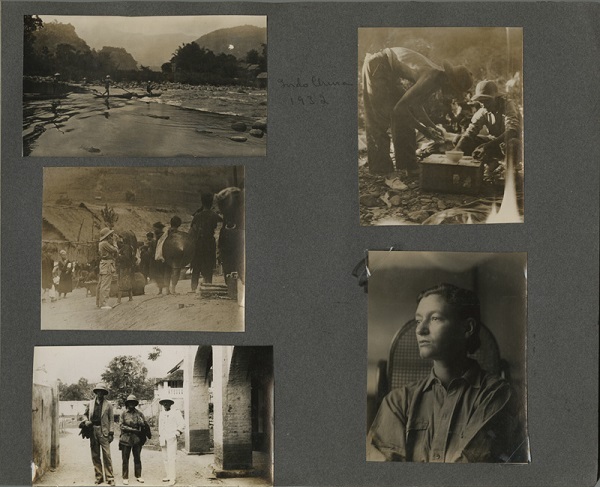 Though many printed pictures of her expeditions are showcased in her scrapbooks and photo albums, there is much more to be found in the slides! 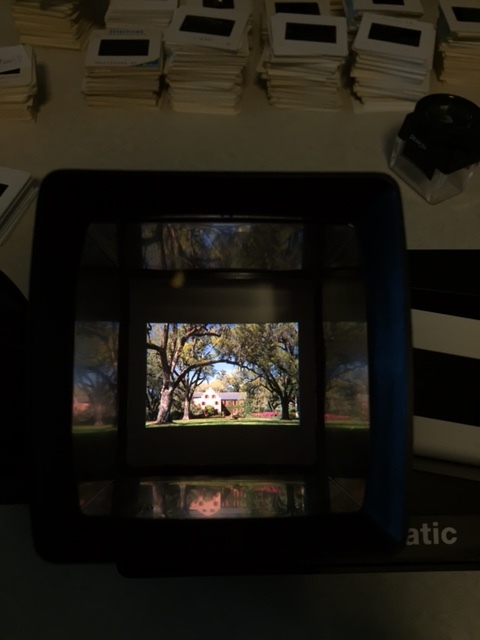 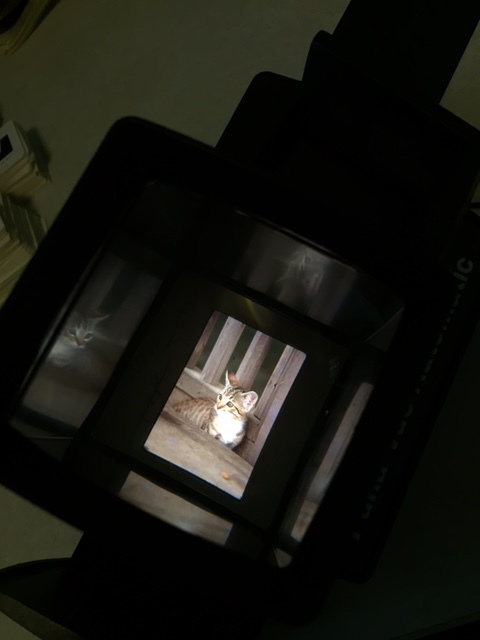 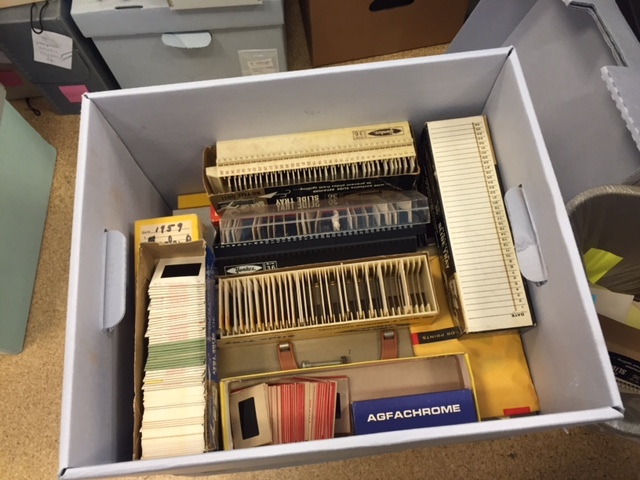 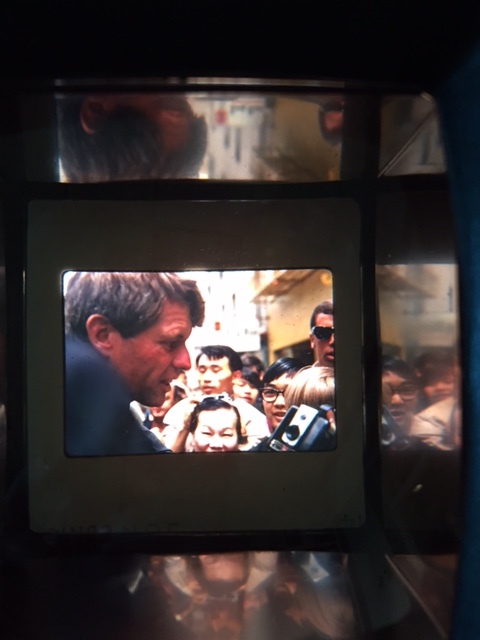 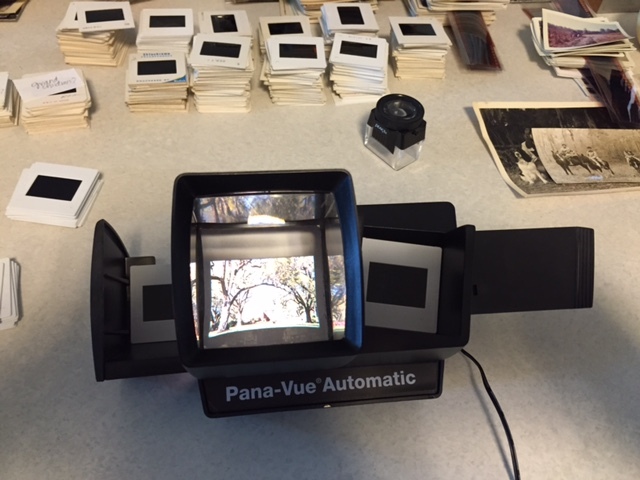 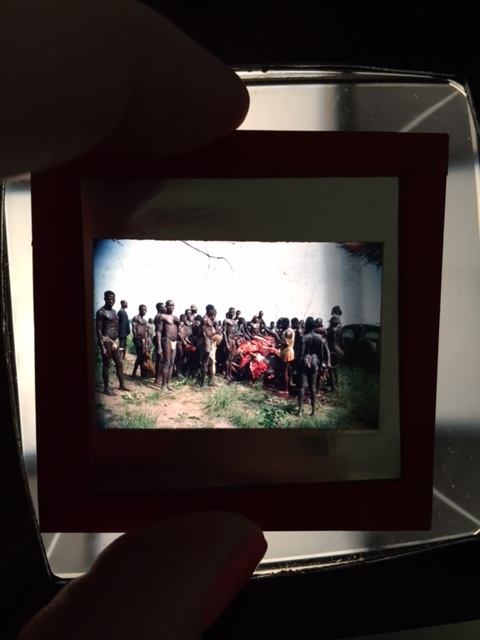 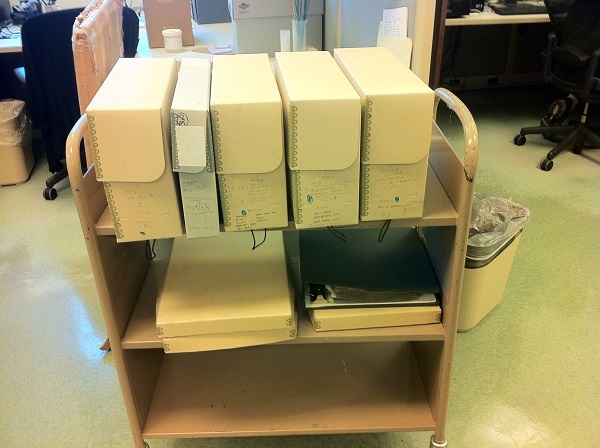 Below are some images of the cataloging and rehousing process, equipment used to view slides, and well as photos of some of the images on the slides. 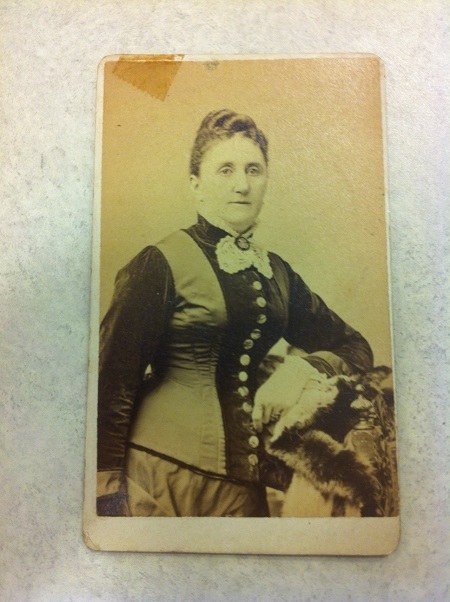 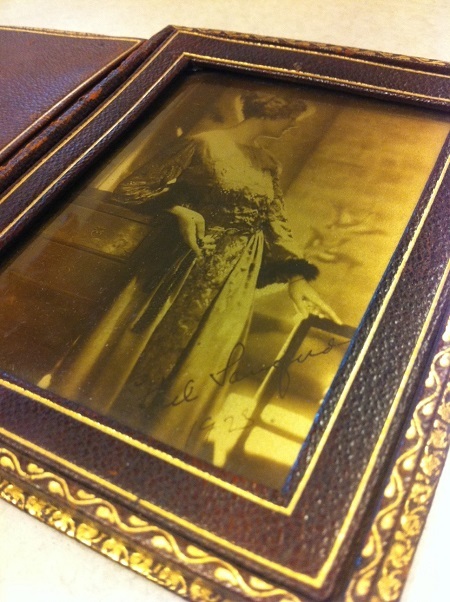 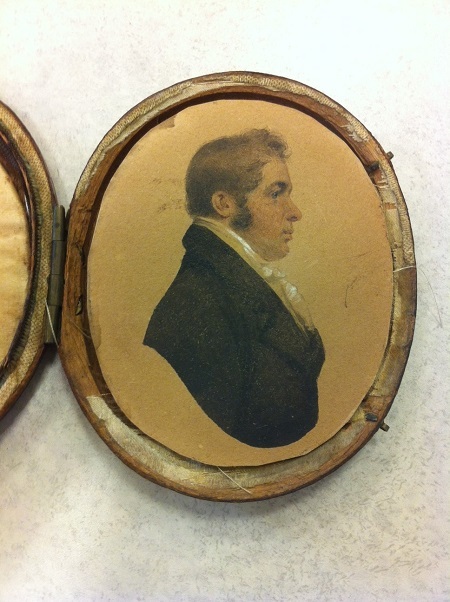 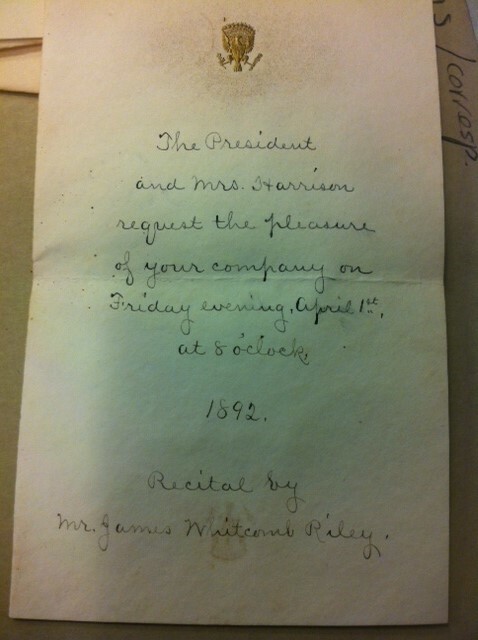 Some of the oldest items in the Gertrude Sanford Legendre papers are daguerreotypes, tintypes, cabinet cards, and sketches created in the early 19th century. 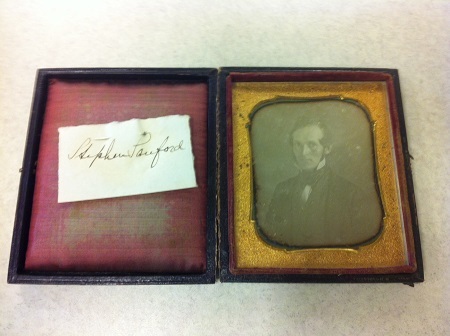 Daguerreotypes and tintypes represent some of the earliest known versions of photography, and were used primarily from the 1840s-1870s. 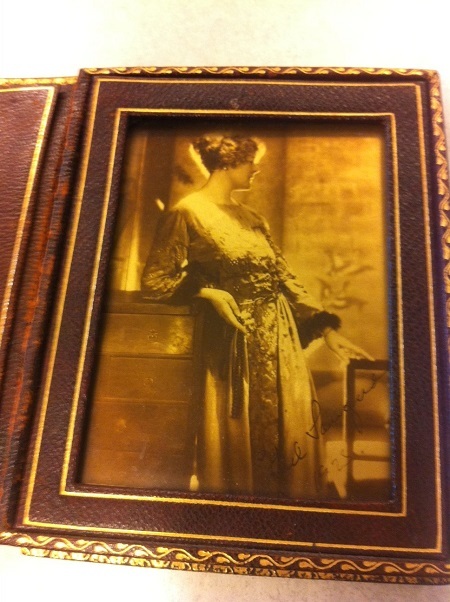 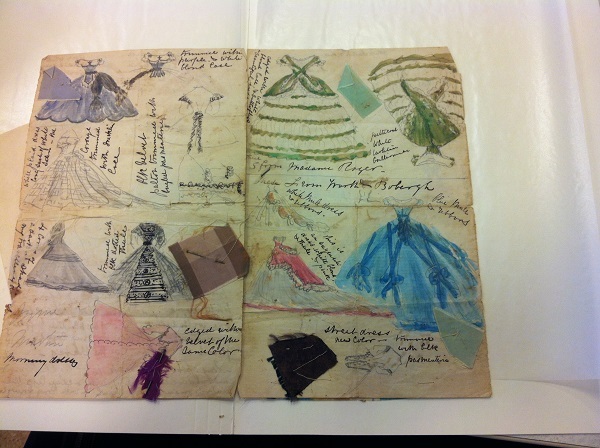 This collection includes a large number of detailed scrapbooks Gertrude compiled over the years. 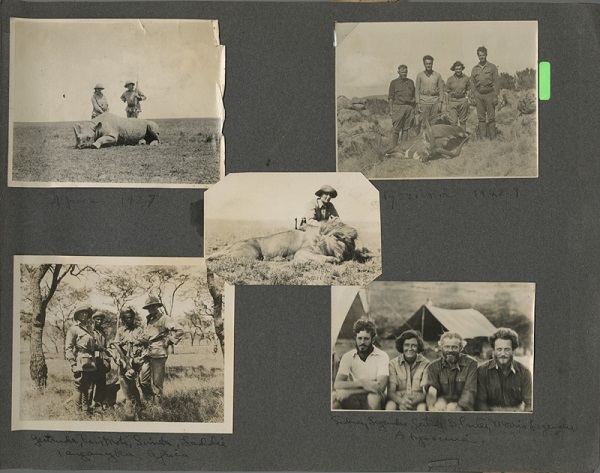 Gertrude funded expeditions for National Geographic and the American Museum of Natural History, during which they would collect specimens to display at Medway Plantation and in various museums. 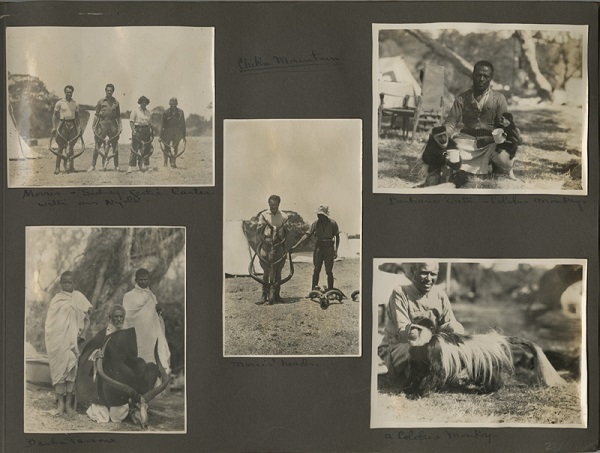 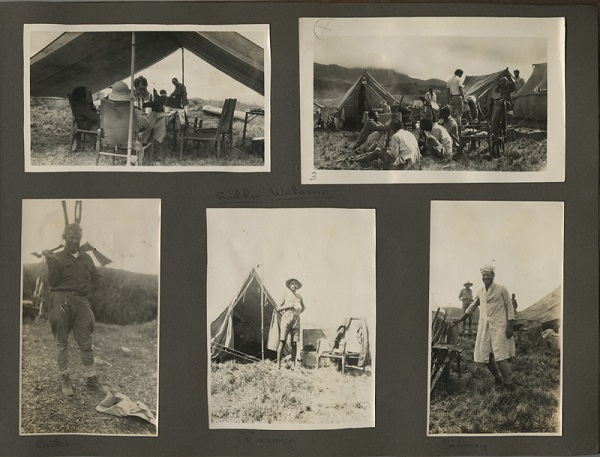 These images are from some of her earliest expeditions to Africa, Abyssinia, and Indochina (1928-1932) and include Gertrude, her husband, Sidney Legendre, her brother, Stephen “Laddie” Sanford, and her brother-in-law, Morris Legendre. 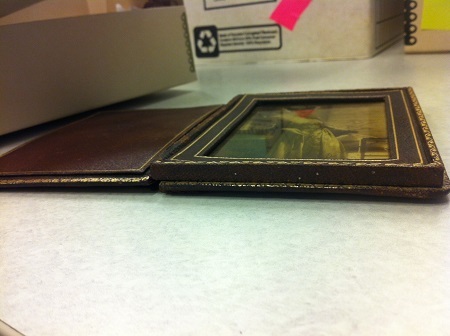 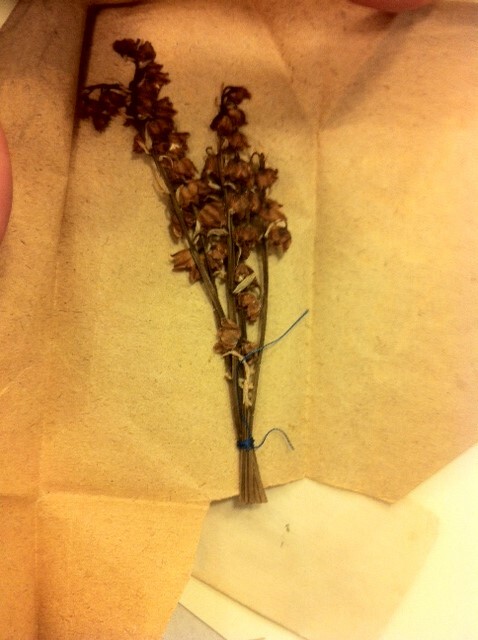 Thanks to the project’s digital library assistant, Rebecca McClure, for these beautiful scans! 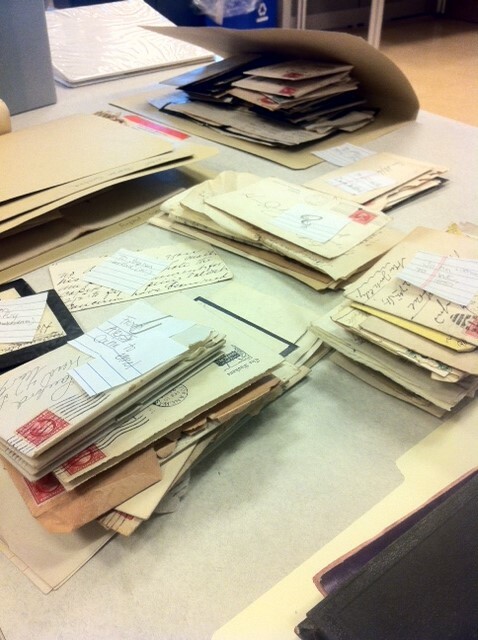 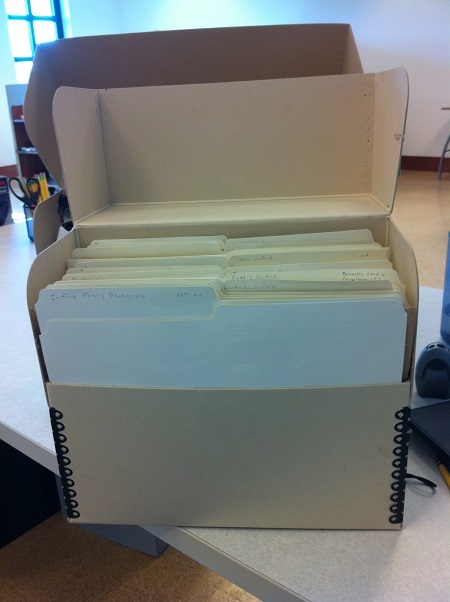 These scrapbooks (and many more) will soon be available in a digital exhibit via the Lowcountry Digital Library. 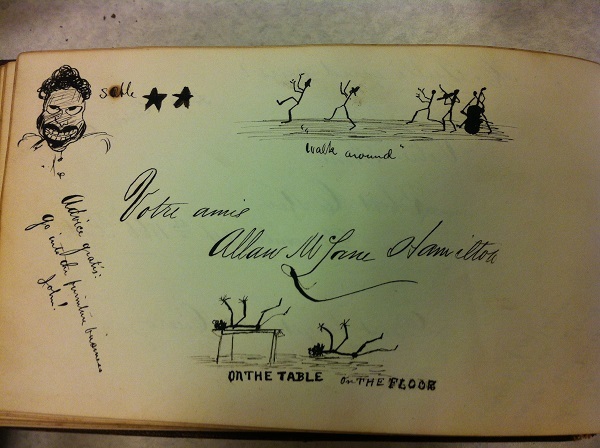 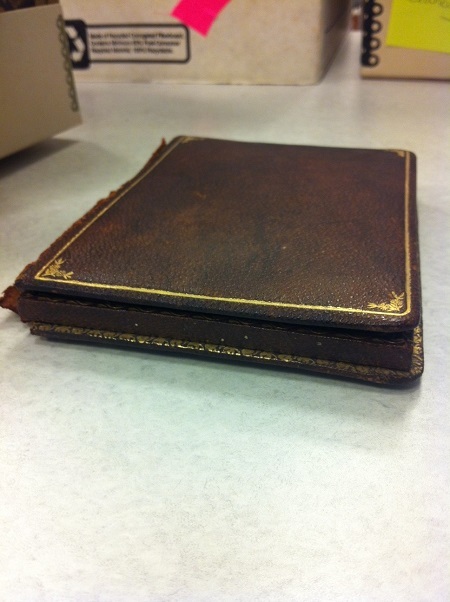 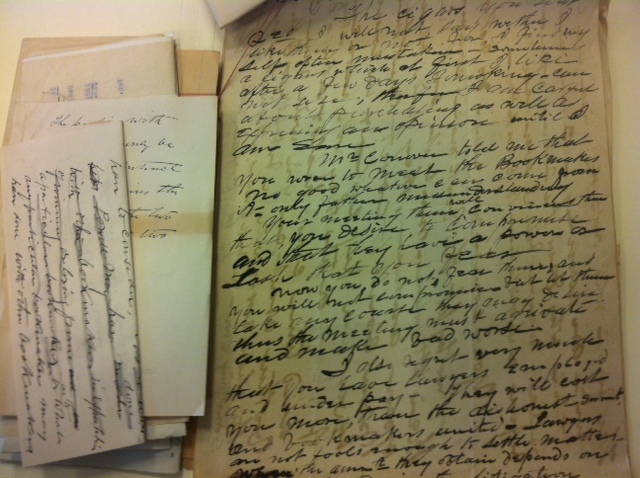 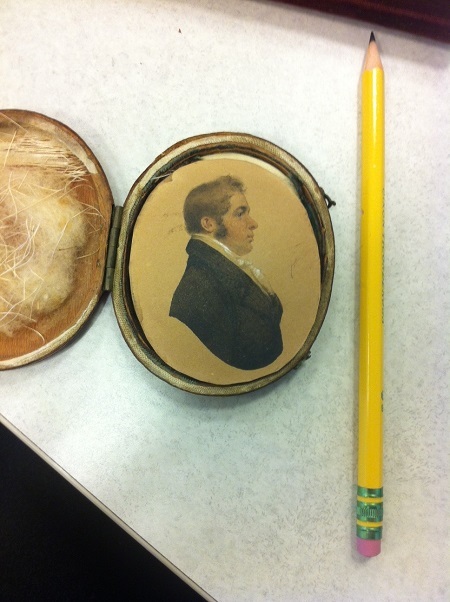 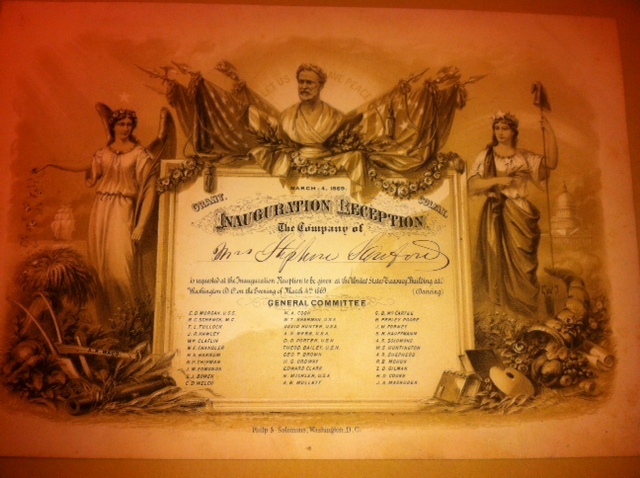 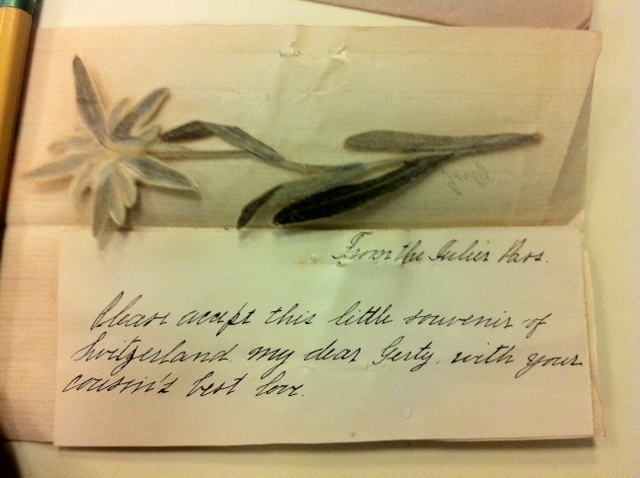 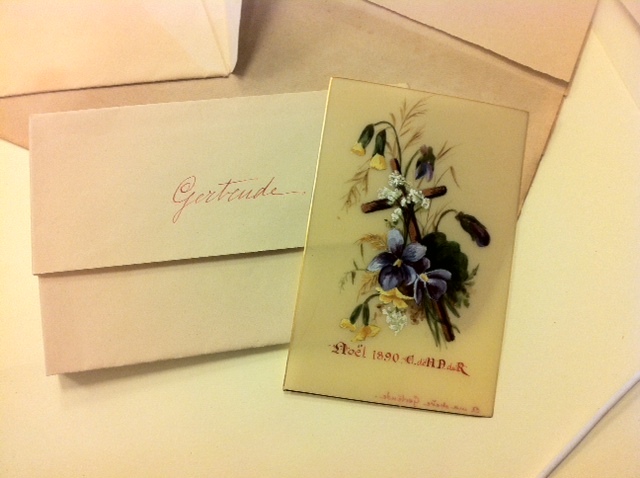 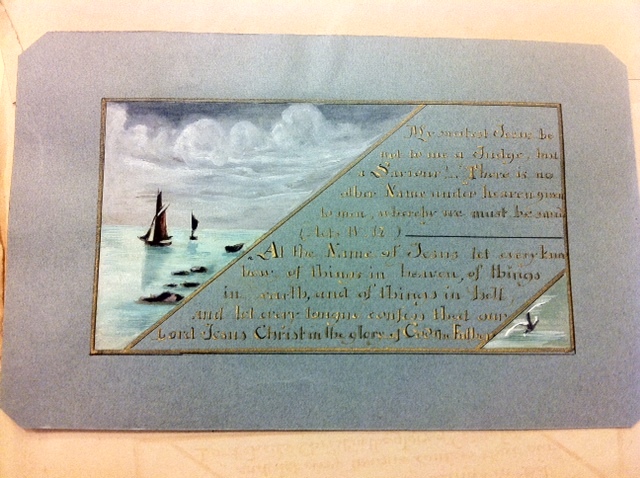 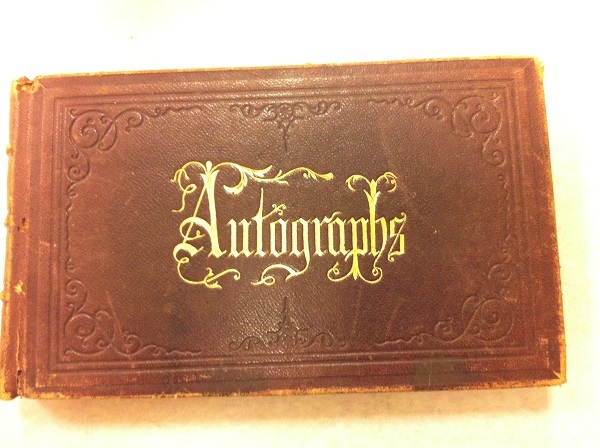 Take a look at some photos of an interesting autograph book kept by Gertrude’s relatives (circa 1866). 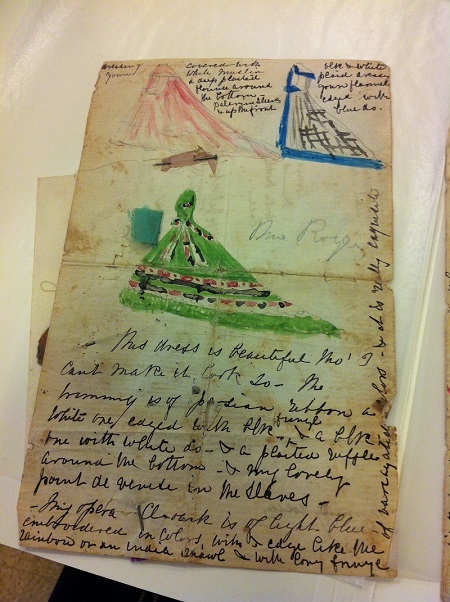 Autograph books were traditionally kept between friends and relatives and were used to collect small sketches, poems, pieces of verse, and other mementos — kind of like a yearbook! 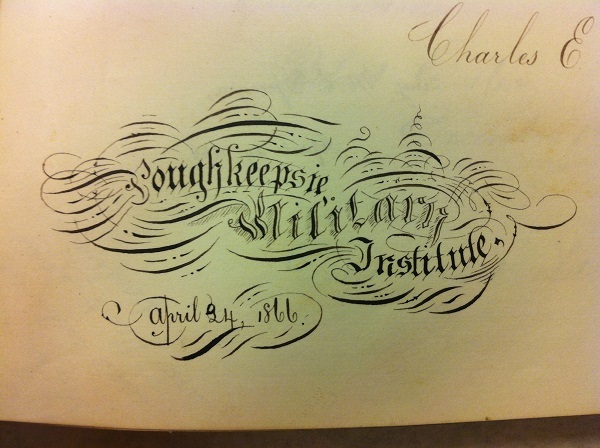 Calligraphy is such an art! 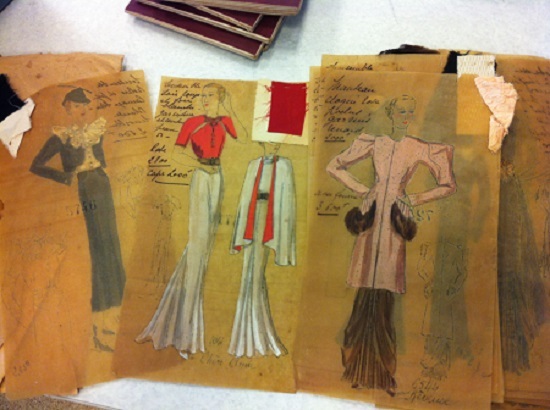 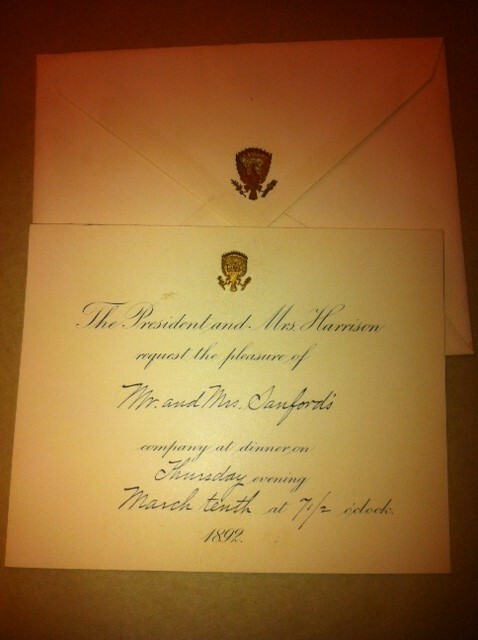 Both Gertrude and her mother, Ethel Sanford, commissioned their finest garments from designers in Paris and New York. 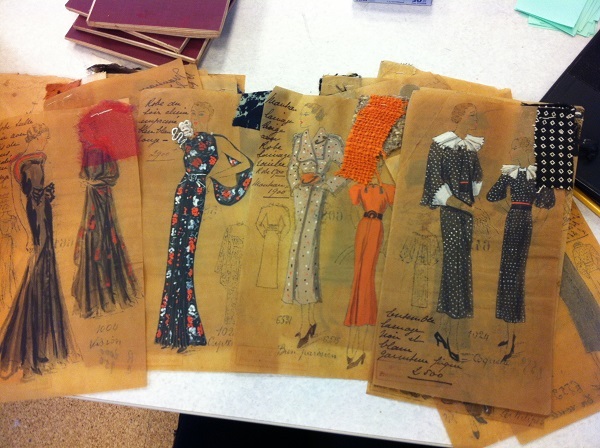 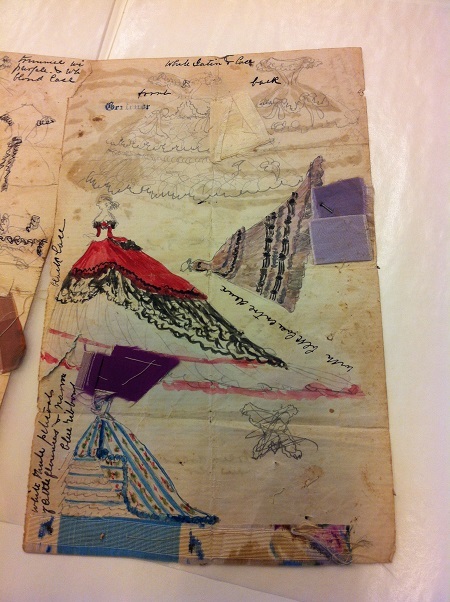 Take a look at these beautiful hand-drawn patterns, complete with original swatches! 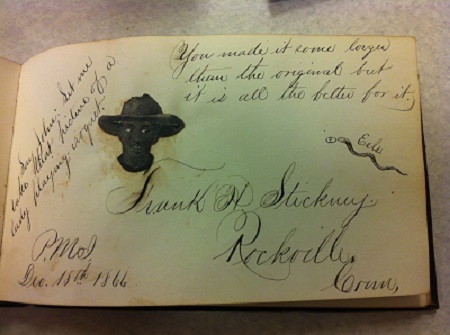 Read the full article in the fall 2012 issue of Discovery, the newsletter of the College of Charleston Friends of the Library. 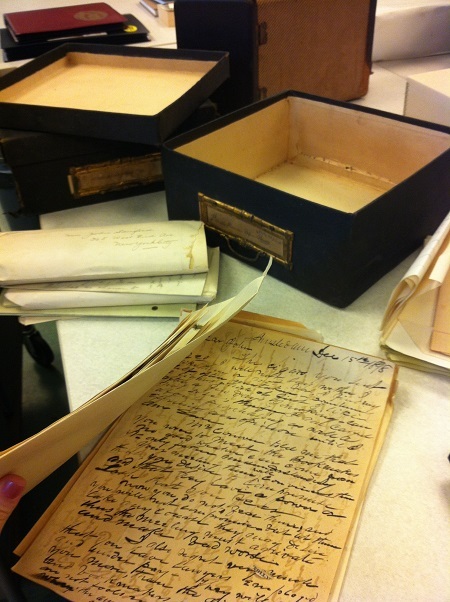 Since this collection was organized and kept arranged by an archivist during its time at Medway, most of the materials were already placed in archival-quality boxes and had its own unique arrangement system. 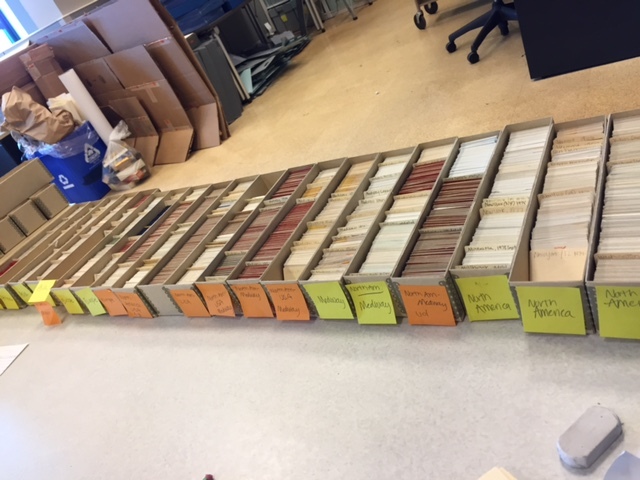 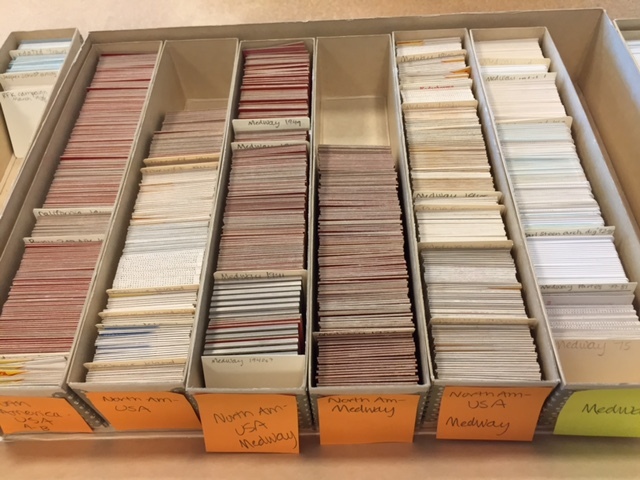 Check out a few photos from the initial survey — this collection spans over 3 generations and includes over 15 different formats! 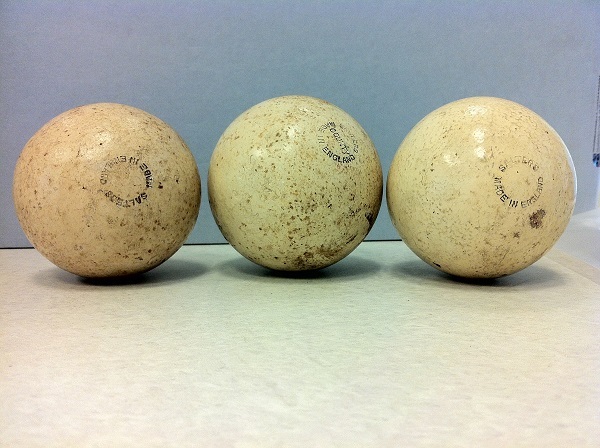 Polo balls…Gertrude’s brother, Stephen “Laddie” Sanford was a well-known polo player and horse breeder!